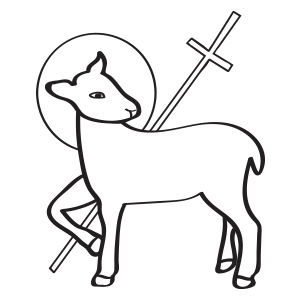 The Gospel Notes for the Second Sunday in Lent (Reminiscere) of the One-Year Lectionary from the Lutheran Service Book is now available. You may download the Color PDF, the Black and White PDF, the Bi-Fold Color PDF, the Bi-Fold Black and White PDF, the Half-Page Legal Color PDF, or the Half-Page Legal Black and White PDF. The bi-fold version is a “booklet form” that folds and inserts nicely inside a standard bulletin. The standard version can be printed double-sided on a 8 1/2 x 11″ sheet, and possibly folded as well for distribution through bulletins, or put on the narthex table for distribution. 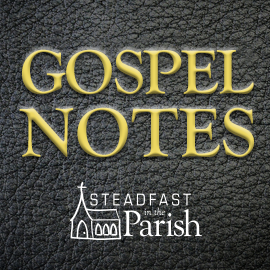 Additional one-year lectionary Gospel Notes can be found here. If you would like to receive an email each week, please fill out the registration form here. 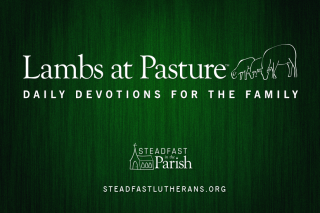 This educational resource is provided by Steadfast in the Parish. Psalm 121 (antiphon: v. 1-2) — I lift up my eyes to the hills. From where does my help come? My help comes from the Lord, who made heaven and earth. Psalm 25:17–18 — Consider my affliction and my trouble, and forgive all my sins. Psalm 106:1–4 — Oh give thanks to the Lord, for he is good, for his steadfast love endures forever! Who can utter the mighty deeds of the Lord, or declare all his praise? Blessed are they who observe justice, who do righteousness at all times! Remember me, O Lord, when you show favor to your people; help me when you save them. You may download the Color PDF, the Black and White PDF, the Bi-Fold Color PDF, the Bi-Fold Black and White PDF, the Half-Page Legal Color PDF, or the Half-Page Legal Black and White PDF. We hope you find these notes useful and help us with sharing them with others. Be sure to contact us if you have questions or suggestions on how to improve these, or if you might be interested in helping us produce some of these. Prophetically partner with broad-appeal possibilities.